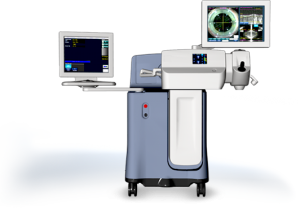 Scott & Christie Eyecare Associates is pleased to offer patients access to laser cataract surgery in Pittsburgh and Western Pennsylvania region. 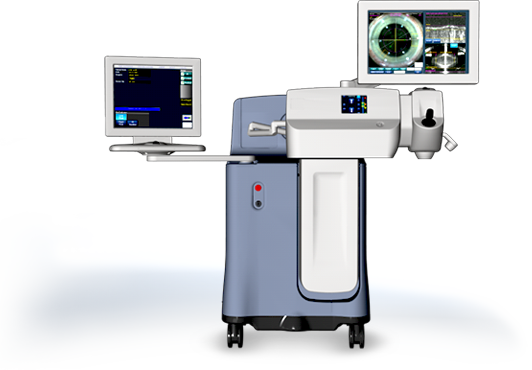 Providing Pittsburgh with Laser Cataract Surgery, the LenSX Laser System eliminates the need to manually remove the cataract from the patient’s eye. This results in a faster, more accurate procedure. With laser cataract surgery, we are able to perform the cutting of the eye for a comfortable, gentle and highly accurate alternative. With the laser, cataract surgery is performed with a reduced risk of complications. Patients also receive corneal topography, and treatment for astigmatism if needed, as part of their laser cataract surgical procedure. Standard Monofocal Implants provide the patient with clear distance vision; but, they may still need corrective eyewear for near and intermediate vision. Multifocal Implants give patients a once-in-a-lifetime opportunity for a full range of vision. These lenses allow clear vision for near, intermediate and far distances, and can eliminate or greatly reduce the patient’s need for glasses. Scott and Christie and Associates is only 1 of 10 locations nationwide that currently offer the SYMFONY lens to patients that suffer from cataracts. The SYMFONY lens from Abbot Medical can reduce and in many cases eliminate a patients need to wear glasses after cataract surgery. The Tecnis SYMFONY Intraocular Lens was specifically developed to improve both the range and quality of vision. In 2014 Scott and Christie participated in a clinical study that compared the SYMFONY lens to an aspherical monofocal lens. Compared to the monofocal group, the SYMFONY lens achieved greater improvements in near and intermediate vision. It also provided seamless day-to-night vision, a higher quality of vision, and demonstrated a low incidence of halo and glare. These combined technologies provide patients with a fine-tuned, full range of vision. 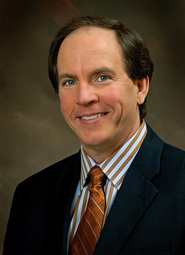 William Christie M.D., with more than 20 years of experience, is the region’s premier cataract surgeon, having performed over 30,000 cataract surgeries. Dr. Christie was one of the first doctors in the Pittsburgh area to use the advanced Multifocal lens implant technologies. Dr. Christie is committed to embracing new technology to improve patients’ lifestyles. Information obtained on the Scott and Christie website is not a substitute for an eye exam… see Additional Information.